The separation of powers between executive and legislative branches is an important and central feature of American governance on the state and federal levels. In the case of North Dakota Legislative Assembly v. Burgum, 2018 ND 189 (ND 2018), the North Dakota Supreme Court exercised its original jurisdiction under the state constitution to address a collision of constitutional power between the North Dakota legislative assembly and first term Governor Doug Burgum. At issue were five item vetoes exercised by Governor Burgum following the adjournment of the last regular session of the legislature. 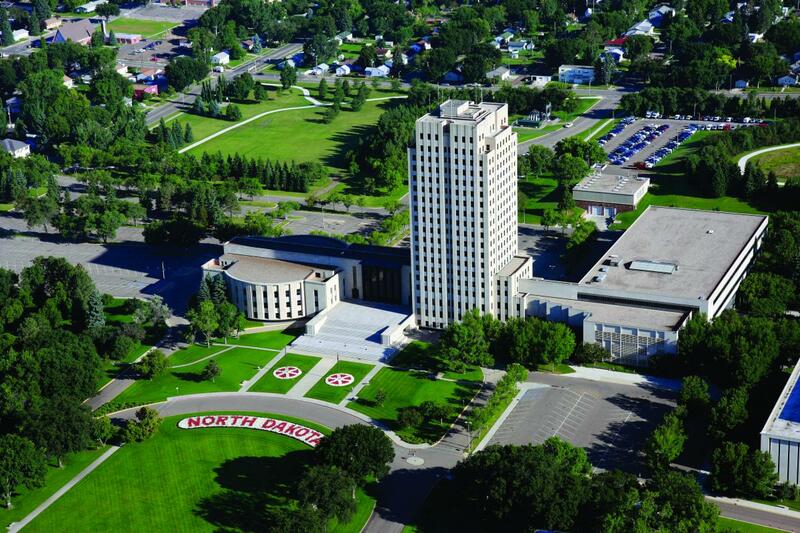 North Dakota’s Constitution provides the Governor the power of the item veto. Although the Governor attempted to veto items in five separate pieces of legislation, he later concurred with an Attorney General’s opinion that three of his five vetoes were ineffective. Despite the concession, the North Dakota Supreme Court found that a justiciable controversy remained regarding all five vetoes. The Supreme Court held that a Governor cannot withdraw a veto, and cannot achieve the same outcome by agreeing with the Attorney General’s non-binding opinion declaring a veto ineffective. The item veto power is granted to the Governor in Article V, Section 9 of the North Dakota Constitution. This power allows the Governor to veto items within appropriations legislation without vetoing the entire bill and so long as what is left is workable legislation. The veto relates specifically to appropriations and the Governor cannot veto a condition on an appropriation without vetoing the appropriation itself. The item veto is designed to prevent “log rolling” in which items that could not garner enough support to pass on their own are amalgamated into a larger bill which has enough support to pass through the legislature. In order to make an appropriation of funds, the legislative assembly must specify the amount of the appropriation, the object or purpose of the appropriation, and the source of funds. The five vetoes at issue in the case all dealt with an aspect of an appropriations bill. The Court addressed all five of Governor Burgum’s vetoes in turn. 1. The Workplace Safety Veto. The legislative assembly appropriated $2.25 million from the state’s general and special funds for entrepreneurship grants and a voucher program. Of the total funds appropriated, a subsection of the bill attempted to dedicate $300,000 to an organization providing workplace safety. The Governor vetoed the expressly stated dedication of $300,000 to workplace safety. Second, the legislative assembly offered that under North Dakota law an appropriation must specify the fund from which the appropriation springs, such as a general or special fund and that allocation of the $300,000 to an organization providing workplace safety did not specify any funding source. The court disagreed, finding that despite the failure to use the word “appropriation” specifically, the $300,000 was an small component that gave definition to the larger appropriation of $2.25 million. The court also disagreed that the Governor had to veto the entire appropriation because this would allow a legislative assembly that is hostile to a Governor to eliminate the item veto by consolidating all spending in one bill with an all or nothing approach. Thirdly, the legislature argued that the $300,000 dedication of money to workplace safety was not an appropriation because it did not specify a funding source. This argument was swept aside because the $300,000 was part of the larger $2.25 million appropriation, which did specify a funding source. The Court also addressed four other vetoes and found them to be ineffective. In the Credit Hour Veto, the legislative assembly stated that: “It is the intent [of the legislature] . . . that future general fund appropriations [supporting a university nursing program] be adjusted . . . for credit hours completed at the school.” The Governor excised by veto the “for credit hours completed at the school” language. The Court found the veto ineffective because the Governor’s item veto does not extend to vetoing any portion of legislative intent. The Any Portion Veto also involved a veto of legislative intent which prevented a university from shutting down “any portion” of their nursing program. By excising the “any portion” language, the Governor essentially changed legislative intent and allowed the university to shut down portions of its program so long as it did not shut down the whole program. This again exceeded the Governor’s item veto power as it altered express legislative intent. In the Water Commission Veto, the legislative assembly enacted an appropriations bill which stated that: “. . . funding designated in this section is for the specific purposes identified [but funds may be transferred among items] subject to budget section approval and upon notification of the legislative management’s water topics overview committee.” The Governor excised the “subject to budget section approval and upon notification of the legislative management’s water topics overview committee.” Again the court found this was a change of legislative intent and found the veto to be ineffective. The IT Project Veto involved an appropriation in which the legislative assembly stated that: “[o]f the $3,600,000, $1,800,000 may be spent only upon approval of the budget section.” The Governor excised this language. The court found this veto to be ineffective because it was not a veto of an appropriation, but a condition on an appropriation. As the $3,600,000 remained in tact when the language was vetoed, the veto was not the veto of an appropriation. Interestingly, although the Water Commission Veto and the IT Project Veto exceeded the veto authority of the Governor, the same legislative provisions also exceeded the power of the legislative assembly. The court stated that the power to make law is legislative and the power to implement it is executive. A legislative assembly cannot delegate purely legislative functions to any other body. Limited discretion in implementation can be granted to the executive branch if the exercise of discretion is: “. . . constrained by ‘reasonably clear guidelines’ and a ‘sufficiently objective standard.’” It is an impermissible grant of legislative power to give “unfettered discretion” to make choices in implementing legislation. Concluding that although the actions of the legislature were impermissible, the legislature did not intend to grant the Water Commission “unfettered discretion” to transfer funds among purposes. Thus, striking the oversight of the budget committee also required striking the Water Commission’s power to transfer funds. The Governor argued that the IT Project bill, which stated that: “[o]f the $3,600,000, $1,800,000 may be spent only upon approval of the budget section . . .”, suffered from the same flaw as the Water Commission bill. The legislative assembly countered stating that the budget section merely conducted fact finding to determine whether the appropriation should be available for expenditure. The court found the IT Project bill language provided no clear guidelines or objective standards for the budget committee and was an improper delegation. The court also found that the language was an unconstitutional encroachment on executive power in dismissing the legislative assembly’s argument that the budget committee was merely conducting fact finding on how appropriated money should be spent. Legislative fact fining precedes the enactment of law and its signature by the Governor. The court stated that the fact finding in the case of the IT Project bill related to the application of the law and not its enactment. Application of the law is an executive function. In wrapping up consideration of the IT Project bill, the court concluded that the total $3,600,000 appropriation was not to be reduced by $1,800,000 when it struck provisions granting the budget committee oversight. The court indicated that it had no more power than the Governor to rewrite an appropriations bill. Unlike the Water Commission bill where the legislative assembly never intended the Water Commission to have unfettered authority to transfer funds among various objectives, in the IT Project bill it was the intent of the legislative assembly to appropriate $3,600,000 to the IT Project regardless of the oversight language. 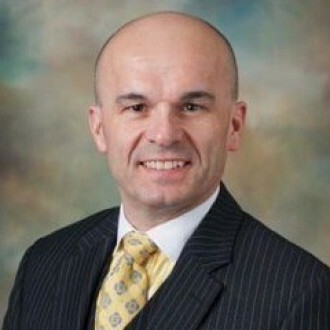 David Chapman is a solo lawyer with DJ Chapman Law, P.C., in Fargo, ND. Some citations were omitted to allow for ease of reading.